Spring is finally here! 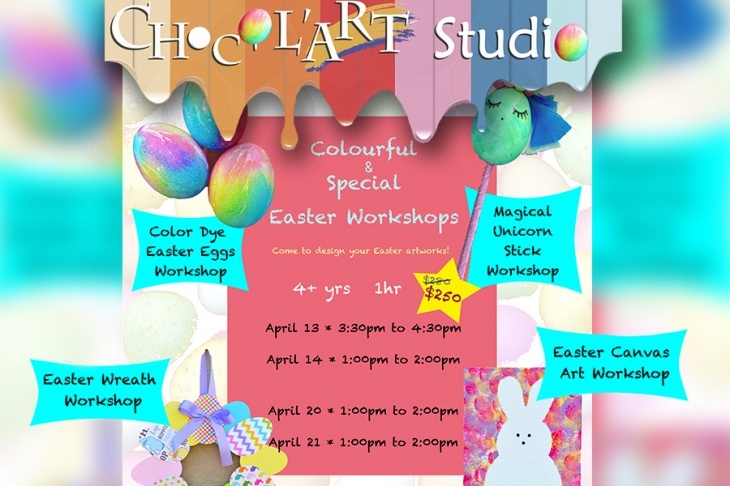 Treat your little bunnies to Choco L’art Studio for some egg-stra fun Easter workshops! Price: HK$250/workshop (Original HK$280) includes all art materials. Call us at +(852) 6695 1161 or email us at info@chocolart.com.hk for more information. Limited space! Sign up to reserve a spot!